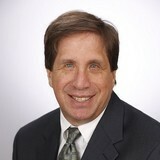 Larry Prozan has over 30 years’ experience in the financial services industry. He is the founder and sole owner of Prozan Financial Services, a registered investment advisor and is also a registered representative with Cetera Advisors, LLC. He specializes in small business pension plans and individuals since founding Prozan Financial in 1997. He currently manages approximately $80 million. Larry Prozan graduated from the University of California, Berkeley in 1983 with a BA in political science. Shortly thereafter he started in the investment and financial planning business. While Larry serves a wide range of clients he prefers to work with people who require ethical, impartial, and fairly priced advice, including clients who prefer a different approach than your typical large firm. Larry volunteers much of his time to the University of California, Berkeley and to many Jewish causes. He is married to Linda, a securities attorney and has two children. Securities offered through Cetera Advisors, LLC. Member FINRA * SIPC Prozan Financial Services & Cetera Advisors are not affiliated companies.